Bhubaneswar : The Indian National Trust for Art and Cultural Heritage, Odisha, has written to both the Government of Odisha and the Centre asking them to reconsider the proposal of operating sea planes in the Chilka Lake. A.B.Tripathy, State Convener of INTACH said that the delicate ecosystem of this Ramsar Site will be severely affected by such activities. He said that the eco-system of Chilka is already under severe strain and such operations will badly affect the lake and its environs. The bird sanctuaries at Nalabana and the neighbouring lake side villages have seen a resurgence of migratory birds since the last few years, operating a seaplane will spell the doom for them. 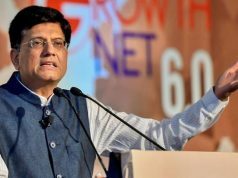 Tripathy said that the Kerala government had mooted the idea of operating sea planes in 22 places, and a detailed DPR had been prepared by Pawan Hans. Test flights had been undertaken and the places for the hydrodromes identified, but the project was shelved due to it being not feasible and the impact it would have on the ecosystem of the backwaters. 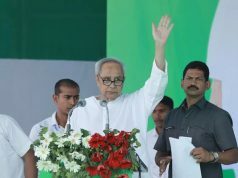 The State Convener also said that the Coastal Highway should not be made on the shores of the Chilka Lake. The stretch of the National Highway from Ganjam till Khurda should be incorporated as the Coastal Highway. Anil Dhir, the Project Coordinator of INTACH, said that worldwide, sea planes are used only in places where road, air and ferry connectivity is difficult. The production and use of seaplanes worldwide is in decline with production levels at the lowest. Dhir, who is a former pilot, said that seaplanes are expensive to operate as they have a significant weight penalty. The floats itself cost 40 % of the price of the airplane. They are slow and can carry only 8-10 passengers. 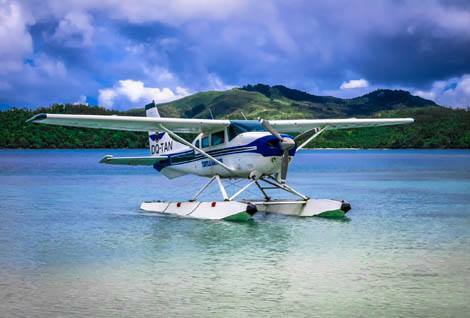 Besides, the average flying time of 80 % of the seaplanes all over the world is just 15-25 minutes. The sea planes will have to be operated from Bhubaneswar or the Ranglaiunda airport at Berhampur, with a flight time that would not be even 20 minutes. It will be illogical to operate flights to Chilka when one can reach Mangalajodi in 50 minutes by road. The travel time to Balugaon, Barkul , Rambha and Satapada too is around an hour and a half with excellent roads. Another INTACH member, noted environmental activist Dr. Biswajit Mohanty, said that it is an illconceived proposal which should never have been mooted. The proposal will require clearances from the Ministry of Defence, Ministry of Environment and Forests, the DGCA, the CRZ authorities, local bodies, the State’s Forest Department, the Integrated Coastal Zone Management and the State Pollution Control Board. Dr. Mohanty is of the opinion that the Lake’s eco-system is already over stretched. The Ph levels, the salinity, the siltation and the pollutants besides the illegal gherries are sounding the death knell. The half-hazard manner in which the government is developing the tourism in the lake should be reviewed. There are 4000 tourist boats operating in the different parts of the lake and the sound generated by these boats is already causing harm to the aquatic population of the lake and rampant construction in violation of the CRZ norms is being done. The dolphin and bird population needs proper care, and overcrowding the lake would have adverse effects. Chilka should have a sustainable eco-tourism plan, instead of wanton constructions of infrastructure.